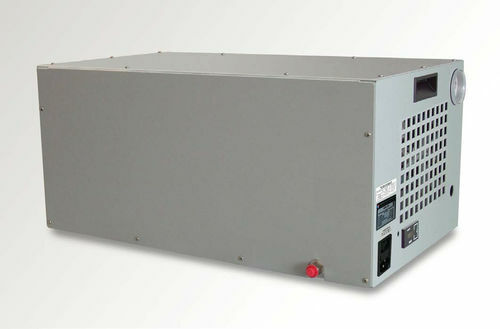 The ACS1210 is designed to be used as the air supply for a Model 1200 Humidity Generator. This is a fully enclosed compressed air supply incorporating a membrane style air dryer in a sound muffling cabinet. This system is ideal for in-lab use because of the low sound level at less than 65 decibels.